DDOT will operate temporary bus lanes and enforce temporary parking restrictions to help mitigate traffic impacts during WMATA's planned closure of two Metro stations on the Red Line. The temporary bus lanes and parking restrictions will be in effect from July 21 until September 3. For questions about WMATA bus and rail services, visit www.wmata.com. For questions about DDOT instituted parking restrictions, visit www.ddot.dc.gov. 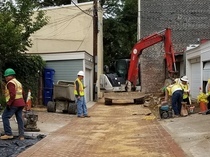 Mayor Bowser is committed to eliminating all roadways, alleys, and sidewalks in poor condition in Washington, DC by 2024 through the PaveDC initiative. 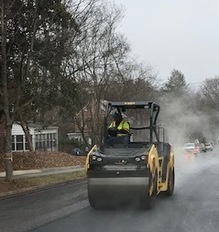 This publication lists all of the road, alley, and sidewalk paving projects that will be under construction during the next two weeks. For more information about these projects, please visit DDOT's interactive tool, PaveDC. 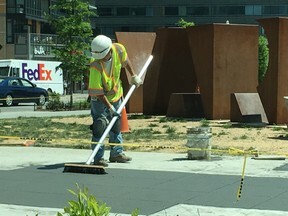 For more information about the latest DDOT happenings, follow us on Twitter and Instagram; like us on Facebook; or visit the website at www.ddot.dc.gov or DDOT’s blog, d.delivers. For media inquiries, please call (202) 671-5124. For constituent inquiries, please call (202) 671-2700 or click here to find contact information for DDOT's community engagement specialists.